One of Snapchat’s latest features, Snap Map, is being marketed as a great way to keep up with what your friends are up to, making it easy for you to join in on fun. It can, however, also be a bit of a privacy nightmare as it reveals your location to your Snapchat contacts. So what if you want to turn it off? What the video doesn’t say is that if you enable location services on Snapchat, just by opening up the app, your location will appear on the map for your contacts to see. 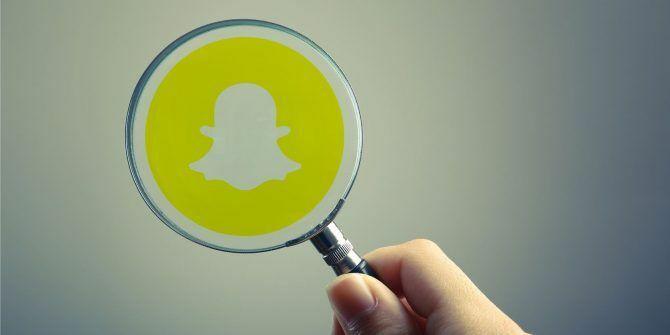 While this is one of many security concerns 8 Tips to Keep Your Snapchat Secure 8 Tips to Keep Your Snapchat Secure People of all ages use Snapchat to send illicit, self-destructing selfies. The privacy issues are numerous, so use our Snapchat security and privacy tips to shore up your account and stay safe! Read More on Snapchat, it’s definitely one of the most serious. The feature will show up when you update your Snapchat app. If you haven’t already updated the app and don’t have location services enabled, when you do, when you first try to open the Snap Map (by pinching to zoom out on the Camera page), it will request location access. If you have already granted location access, you’ll be taken to a step-by-step walk through of the features. Luckily, you can opt-out during that process. When Snapchat asks you who can see your location you can choose from Only Me, My Friends, or Select Friends. To turn the feature of, select Only Me which activates Ghost Mode, meaning your location will not be shared on Snap Map. Go to the Snap Map page by going to your Camera screen and pinch to zoom out. This should open up the map. Tap the Settings (gear) icon and toggle on Ghost Mode. Unlike most apps where disabling location services on your account prevents you from seeing other people’s location, that isn’t the case with Snapchat. If your friends haven’t enabled Ghost Mode, you’ll still be able to see their location on the map, so it might be worth letting them know that they are sharing their location online. The safest bet is to simply turn off any location services associated with the app, which you can do through your phone’s settings. If you do keep location services on, Snapchat has access to your location only when the app is open. If it’s closed, it cannot track your location. Snapchat may have made the feature opt-in, but did they do a good enough job of explaining the feature before it was released in the wild? The response appears to be an overwhelming no. What do you think of Snap Map? Is it a serious security risk? Did Snapchat think this one through? Let us know in the comments. Explore more about: Online Privacy, Snapchat.